There is a saying ​from an unconfirmed source years ago​: "Always aim for the moon, even if you miss, you'll land among the stars. "​ ​Fortunately for us, the standards and opportunities offered by universities today has all but eliminated the idea of "missing the moon". 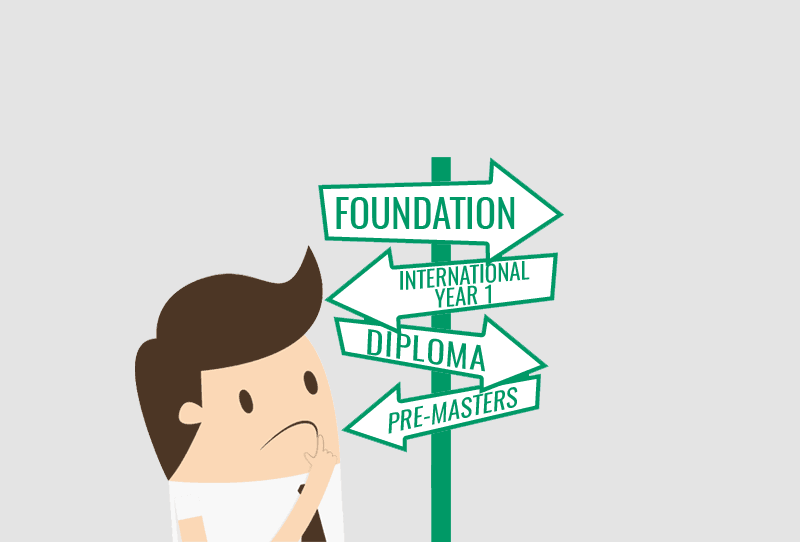 While most of us might look at the entry requirements and hope we fit them to a T, the reality is that some of us may not be able to meet the criteria from the start and the reasons vary - you may be an O level student who wants to accelerate your entry into a university, an A level or IB graduate who has just missed the cut for direct entry, or have taken a diploma programme and wants to switch to a different academic field. The good news is that most universities and colleges now offer pathway programmes that can help bridge the gap and allow students to meet the prerequisites of an undergraduate or postgraduate programme. Some pathway programmes include: Foundation, International Year One, Diploma and Pre-Masters. Which pathway programme do I need? There are different pathway programmes for the different needs of students. A Foundation programme is a bridging programme that allows a student to meet the entry requirements of a university undergraduate programme. They are usually short courses spanning 6-10 months, consisting of both academic and English training, to help students obtain the knowledge needed for the undergraduate programme. Learn more. An International Year One programme is academically equivalent to the first year of an undergraduate degree. Typically offered in the UK and US, the entry requirement for an International Year One programme is lower than that of the undergraduate programme. The goal of the programme is to be able to advance students by the end of the programme so that they will be prepared to join their peers in Year 2. Learn more. A Diploma programme offered in a university is similar to an International Year One programme, and is commonly offered in Australia. It is academically equivalent to the first year of an undergraduate degree. Learn more. A Pre-Masters programme is a bridging programme that allows a student to meet the entry requirements of a university Masters programme. The program is typically 7-12 months, and consists of both academic and English training. Learn more. If this article speaks to you and you're planning to take up a pathway programme, note that most pathways commence in February and June for Australian universities, and in January and September for colleges in the UK. Some foundation programmes recognise that students from specific countries (such as Singapore) are proficient in English and offer a fast-track option to complete the foundation. For example, the International Study Centre of the University of Sheffield (a top 100 world-ranking university) offers an April intake that allows students to complete in August in the same year and the University of Vermont, a public Ivy located in northeastern USA, has a Global Gateway Program that only takes one term. Is there a specific university that you wish to study at, but have doubts if you can make it for a direct entry? Chat online with your education planner today, or email us at hello@therightu.com!